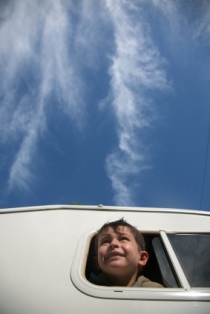 When you hit the road on your RV travel with kids adventure, one of the main concerns you will have is where to stay. No matter what part of North America you choose to stay in, there will be multiple options available. Let's get started! 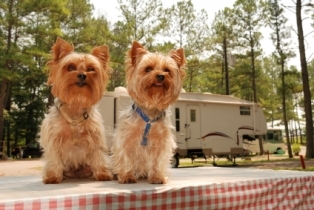 RV campground reviews will vary depending on your needs. A family with limited shower space in their RV may need large hot restrooms, while a family with ample space might not mind a pay-shower set up. 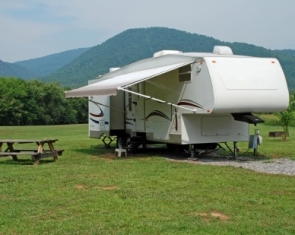 What types of amenities should you look for when finding campgrounds USA? Depending on your needs and circumstances, you need to have a good idea of the different types of amenities even offered. 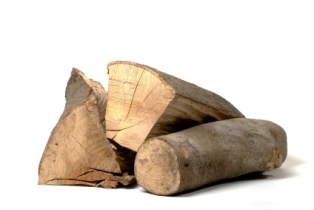 When talking about RV campground reviews, and RV travel with kids, its important to note that not all campgrounds USA allow campfires to be built on your site. In fact, the ones that do are few and far between, in our experience. That's why whenever we get the opportunity to sit in front of our fire we grab it! There is a lot to consider when looking at RV campsites. Typical amenities vary from one camp (and one camper) to another. Plus, just trying to find a campground when you're on the road can be a challenge in some circumstances. Having a good RV park review directory or belonging to a discount camping club can be a great way to have an updated listing of campgrounds USA. Most RVers have figured out that campgrounds are not the only place to camp! There are much cheaper options out there, if you are not overly concerned with campground amenities, and are looking for a free campsite. Check out these tips for finding the best and cheapest campgrounds USA for your RV travel with kids adventure. Boondocking is a term that refers to camping dry, or without hookups for water, sewage and electricity, generally at a free campsite. Boondocking can be something that is done in emergency situations only, or it can be a way of life for some RVers. It all depends on your camping philosophy. 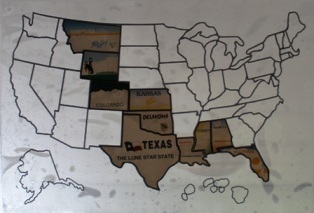 Introducing our interactive listing of all 50 states where you can recommend various campgrounds. Look for a nice, kid-friendly campground to stay in, or tell others about the campgrounds you have visited, leaving your own RV campground reviews. You can even comment on other visitor's recommendations.